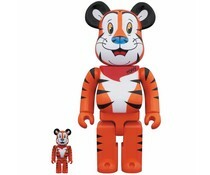 Bearbrick series 37 is featuring designs from the following artists or company's: Vietnam flag along with some hot licensed figures and patterns from Space Invaders, One Cut of the Dead Japanese Horror film, 7th Voyage of Sinbad, Ganbare!, Robocon, Curious George, Aquaman, Japan Pro Wrestling, Noodle and more! 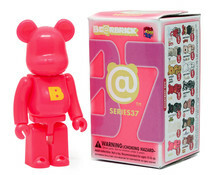 This is an open blindbox figure from the Bearbrick series 37. We have carefully opened each blindbox to reveal the character living inside. 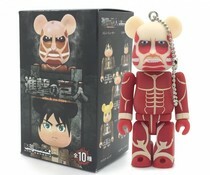 You will receive the item displayed in the 1st picture on the slideshow.